This past January, students in Kristine Kuwano’s third grade classroom were buzzing with excitement at De Vargas Elementary School in Cupertino, California. Tasked with writing out math equations to upload to Google Classroom, the students grabbed their new tablets from the cart, pulled out the stylus, and logged into Chrome. “They love technology and they have grown up working with touch devices, so tablets are intuitive for them,” said Kuwano. Since their debut, schools have chosen Chromebooks because they are fast, easy-to-use and manage, shareable, secure and affordable. 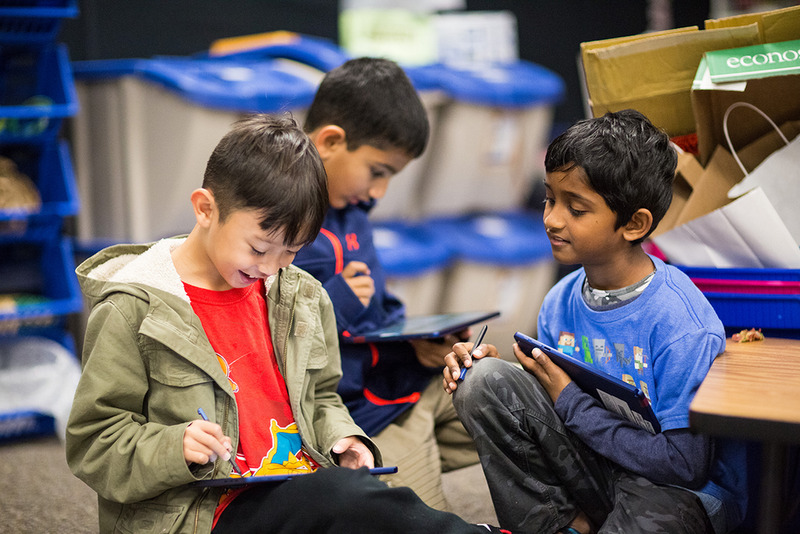 We’ve listened carefully to feedback from educators around the world, and one common theme is that they want all the benefits of Chromebooks in a tablet form. Starting today, with the new Acer Chromebook Tab 10, we’re doing just that. It’s the first education tablet made for Chrome OS, and gives schools the easy management and shareability of Chromebook laptops. With touch and stylus functionality, this lightweight device is perfect for students creating multimedia projects—and also comes with a world of immersive experiences with Google Expeditions AR. The new Acer Chromebook Tab 10 is easy to pass around the room from student to student. Whether overseeing 100 or 100,000 devices, IT admins can manage these new Chromebook tablets alongside other Chrome devices with the Chrome Education license. This lets students access everything they need to learn while giving admins control from a single, scalable console. Because Chrome OS lets students securely share devices, Chromebook tablets are perfect for computer carts. Just like Chromebook laptops, students can quickly and securely log on to any device for a personalized learning experience and just as easily log out from all apps when the class is over. Verified boot checks security at every boot and all user data is encrypted, making each Chromebook tablet secure and shareable. These new Chromebook tablets are lightweight and durable, allowing students to collaborate, create and learn from anywhere. They come with a low-cost Chromebook stylus inside that doesn’t require charging or pairing. The stylus uses advanced machine learning to predict student writing for a natural writing experience. De Vargas Elementary School student upgrades from No.2 pencil to the wireless stylus for Acer Chromebook Tab 10. Coming soon, teachers can take students on Google Expeditions to the Great Barrier Reef, the Colosseum, and even to the International Space Station—all from the screens of their Chrome devices. And with Expeditions AR, students will be able to stare into the eye of a miniature Category 5 hurricane or get up close with a strand of DNA. Get hands-on with handwriting: Students can use their stylus to jot down notes in Google Keep without the hassle of keeping track of (and losing) paper. In Squid, students can write directly on PDFs, and “paper” types like blank, wide-ruled, and grid. With the annotation feature in Google Classroom, teachers can illustrate complex concepts and give visual feedback, as well as assign PDF worksheets that students can annotate by hand. Use your tablet in every class: For educators, creative apps like Adobe Illustrator Draw turn the classroom into a design studio, and let students and teachers draw and create vector designs. Teaching math or science? Apps like Texthelp EquatIO let students show their work by hand writing any math expression and adding it to a Google Doc in one click. Coding apps like Scratch Jr introduce younger students to the foundations of computational thinking, while enabling them to be creators. Bring ideas to life: Amplify storytelling and allow students to animate their thinking on an infinitely interactive and collaborative whiteboard with Explain Everything. 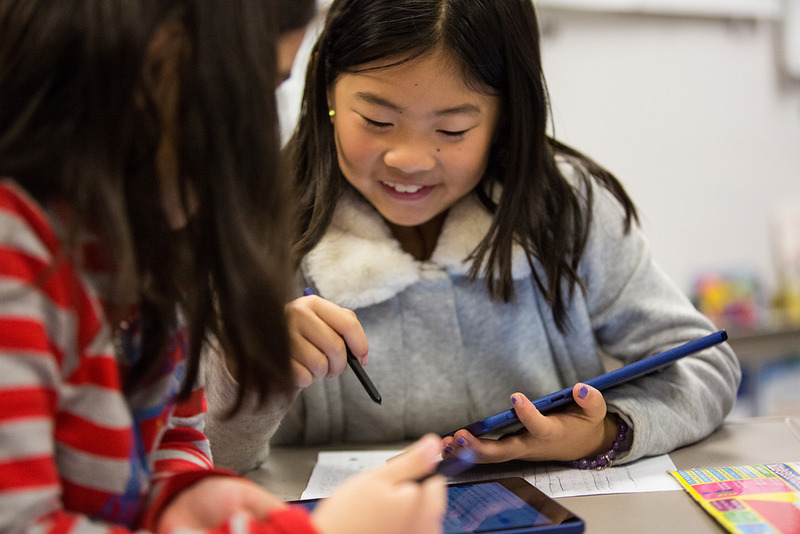 Book Creator lets students create and publish multimedia books, and WeVideo turns the classroom into a movie studio with features like collaborative editing and green screen. The Acer Chromebook Tab 10 comes with support for these and hundreds of other learning applications from our ever-growing catalog of apps in the Play Store. See a sample of other learning apps on Google Play. No one knows what’s needed in the classroom more than teachers. As we continue to grow Chromebooks, we encourage educators and parents to try out new devices and apps, and let us know what you think. The Acer Chromebook Tab 10 will be on sale through education resellers this spring—check with your local reseller for more information.